"Farmyard". John Beswick. "Jersey Cow. "Farmyard". John Beswick. 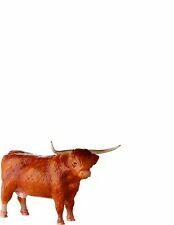 "Highland Cow. Beswick - Donkey (Brown). Carefully modelled and hand painted to show the natural beauty and appeal of this much loved animal. A lovely gift for country and wildlife enthusiasts. "Farmyard". John Beswick. "White Pigley. 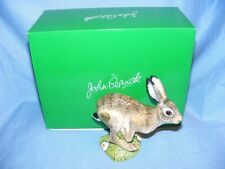 Beswick New Forest Pony "Jonathen 3rd" in bay gloss. This is model 1646 from the Mountain and Moorland Ponies series. Product Code: JBB13BW. As a much loved feature of our birdlife this piece is an ideal gift for wildlife enthusiasts or collectors. 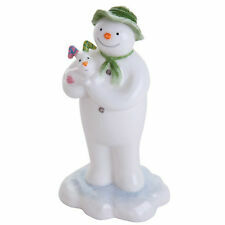 Supplied by Beswick Main Agents -. 44(0) 44 1782 260345. Stoke-on-Trent. JOHN BESWICK. FROM THE TOM AND JERRY RANGE. LIMITED EDITION OF 2000. Product Code: JBCOC1. An ideal gift for any cat lover and makes a lovely addition to an existing collection. Product Code: JBCA4. Carefully modelled and hand painted to show the natural beauty and appeal of this much loved animal. A lovely gift for country and wildlife enthusiasts. Height 11cm. John Beswick. "The Snowman". "Father Christmas Takes A Rest. 10.5 cm Wide. MODEL OF A BOXER DOG. In Excellent Condition. Beswick Model No. 1646. Here for sale is the lovely Beswick New Forest Pony. 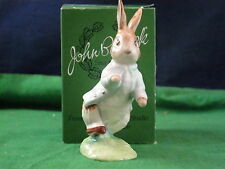 This has the Beswick backstamp on his belly. 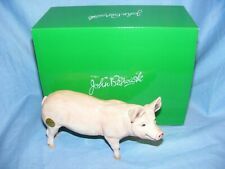 BESWICK AND ROYAL DOULTON HORSES AND ANIMALS LISTED WEEKLY. A truly beautiful little pony. 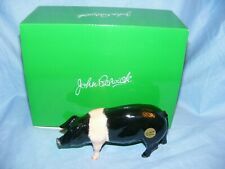 Item: John Beswick - Norman Thelwell - Kick Start. Colour: Grey, white, red and black - Gloss finish. Made in England. MADE IN ENGLAND. Product Code: JBB37. Supplied by Beswick Main Agents -. As a much loved feature of our birdlife this piece is an ideal gift for wildlife enthusiasts or collectors. Edwards' China, Stoke-on-Trent, ST4 2TE. John Beswick. 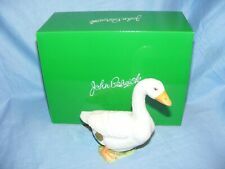 We are Official John Beswick S. "The Snowman". "Father Christmas". Beswick - Connoisseur Series - Red Rum - Bay Matt - Made in England. Item: Beswick 'Red Rum' - Matt Finish. model depicting Red Rum. Colour: Bay - Matt finish. Made in England. MADE IN ENGLAND. Model number 2510. New Forest Pony "Jonathen 3rd". Model number 1646. Designed by Arthur Gredington, this horse went into production in 1961. You will not find a nicer example. By Arthur Gredington. Beswick Boxer " Blue Mountain Greta ". Model number 1202. This is the large version of the Boxer. Brindle and White Gloss Colour. Beswick - Connoisseur Series - Morgan Horse 'Tarryall Maestro' - Black Matt. Beswick - Connoisseur Series - Morgan Horse 'Tarryall Maestro' - Black Matt.. Dispatched with Royal Mail Signed For® 2nd Class. Taken from the 2012 film 'The Snowman and The Snowdog.'. Skincare Products Health. Wooden toys. Construction Toys. Character Toys. Arts and Crafts. Royal Creamware. BESWICK HORSE ARAB "XAYAL" CONNOISSEUR MODEL 1265. PERFECT CONDITION. This is Beswick arab horse "Xayal" from the connoisseur series. Designed by Arthur Gredington in brown matt colour. Model number 947, produced in a limited edition of only 730 examples in 1997. So be quick and grab a bargain! Beautiful Item! We're digging up stuff thats rare, for anyone of you to share. A Beswick black-faced sheep in matt finish. The box is a little worn. 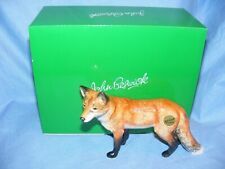 Beatrix Potter Susan BP3c rare Beswick cat from The Tale Of Little Pig Robinson. Beswick Figure "One Cool Cat" from the Cat's Chorus range. Hand Made and Hand Painted in Stoke on Trent. Modelled by Shane Ridge. Produced between 1998-2001. Pre owned and it excellent condition. Height 10.1cm. John Beswick. "Father Christmas With Sack. "The Snowman". 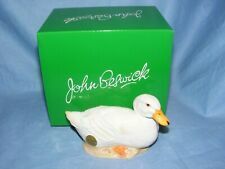 John Beswick. 22 cm High.